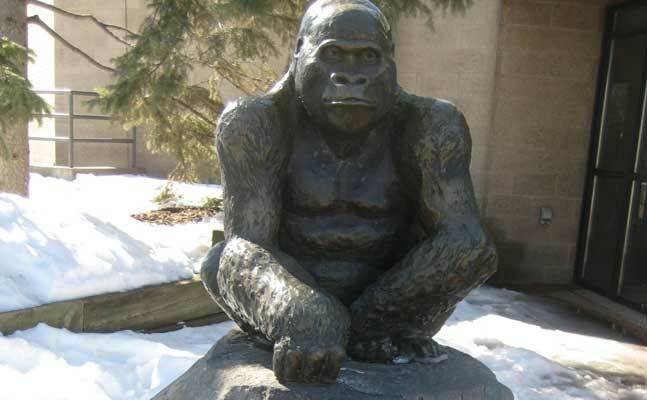 This bronze portrait of Don the gorilla was donated to the Como Park Zoo by Betty Sievert in 1982. Don was a popular gorilla at the zoo for many years. His statue is now a popular site for family pictures.